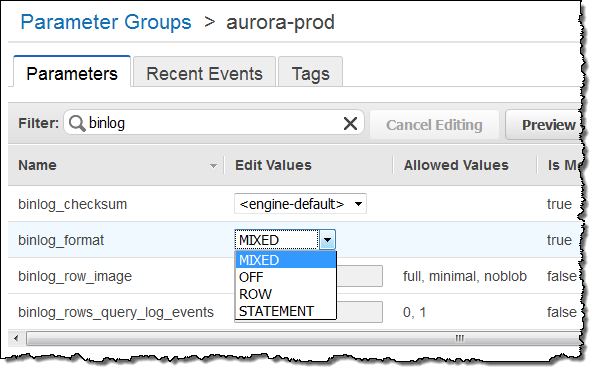 You already have the power to scale the read capacity of your Amazon Aurora instances by adding additional read replicas to an existing cluster. Today we are giving you the power to create a read replica in another region. 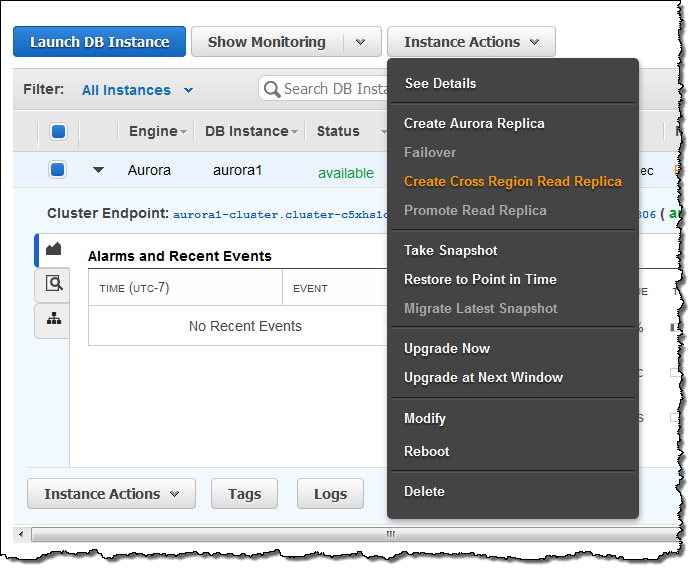 This new feature will allow you to support cross-region disaster recovery and to scale out reads. You can also use it to migrate from one region to another or to create a new database environment in a different region. 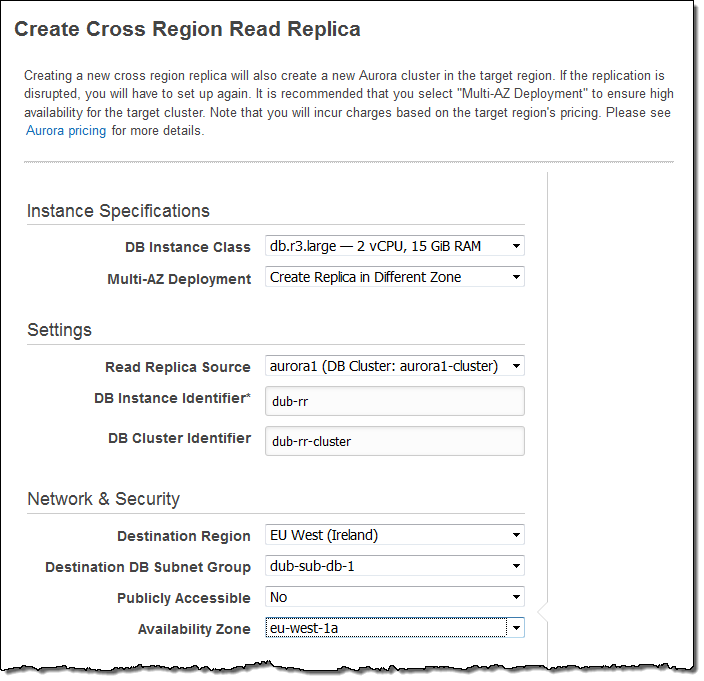 Creating a read replica in another region also creates an Aurora cluster in the region. This cluster can contain up to 15 more read replicas, with very low replication lag (typically less than 20 ms) within the region (between regions, latency will vary based on the distance between the source and target). You can use this model to duplicate your cluster and read replica setup across regions for disaster recovery. In the event of a regional disruption, you can promote the cross-region replica to be the master. This will allow you to minimize downtime for your cross-region application. This feature applies to unencrypted Aurora clusters. Before you get actually create the read replica, you need to take care of a pair of prerequisites. 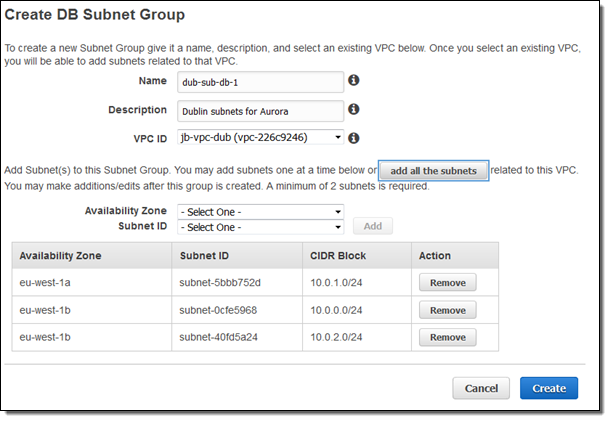 You need to make sure that a VPC and the Database Subnet Groups exist in the target region, and you need to enable binary logging on the existing cluster. Select the instance and reboot it, then wait until it is ready. 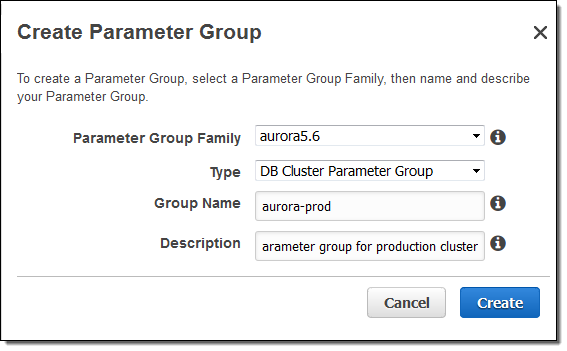 Aurora will create the cluster and the instance. The state of both items will remain at creating until the items have been created and the data has been replicated (this could take some time, depending on amount of data stored in the existing cluster.